From fantastical wine-fests to a giant celebration of yummy Asian grub, Brisbane certainly isn’t lacking in goodies this month. Read on for our pick of the best! We did mention fantastical wine fests, so we might as well start there. The Royal Queensland Wine Show has been a cultural touchstone ‘round here since all the way back in 1876, which isn’t bad going if you think about it. There’s plenty going on, but the pick of the bunch is definitely the Grape Grazing by Night event. 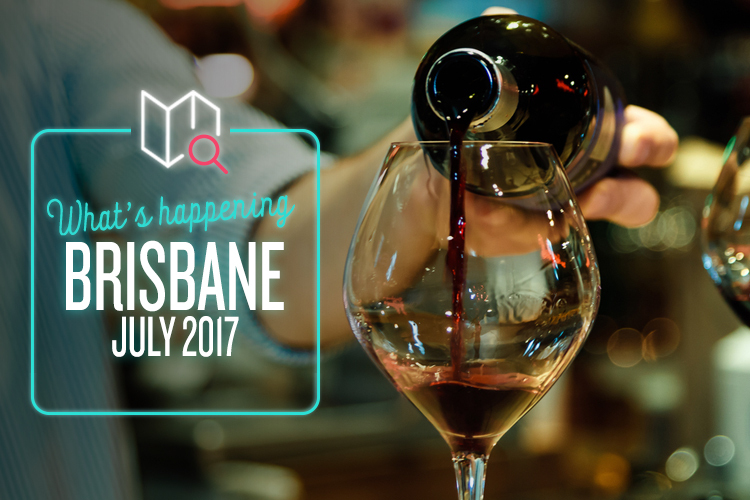 This is your exclusive chance to taste your pick of over 1,600 Australian wines, including the festival’s prestigious trophy winners. If you need to line your stomach, there will also be tons of delectable canapés made with the country’s finest produce. We hope your taste buds are adequately prepared. It’s July in Teneriffe, and we all know what that means! The legendary Teneriffe Festival is back once again, whisking away the suburb and replacing it with a colourful cavalcade of artistic, cultural and culinary goodness. It’s a big, wonderful tribute to the area’s rich past, popular present and hugely exciting future, with some 50,000 people showing up to get the party started every year. Expect exhibitions, street entertainment, endless market stalls, kid-friendly fun, and more than 40 of Teneriffe’s greatest restaurants banding together to handle the catering. As always, it’ll be a day remember forever, so head down and see what’s what. If you’ve ever wanted to experience the hectic, bustling and thoroughly delicious atmosphere of a proper Asian street market, then you simply can’t afford to miss South Bank’s Night Noodle Markets. Each night, 23 unique food stalls converge on the Cultural Forecourt to form a sizzling maelstrom of flavour, along with various bars and a range of live music to keep your ears as happy as your mouth. The whole event is like a mini-festival, and you never know what sumptuous treats you might discover next. It’s all cashless this year too, so all you need is your trusty card. Depending on how well read you are, you may or may not be familiar with France. It’s a pretty cool place in some faraway land-blob called “Yewrop” (or something), and it’s quite well known for its cultural and gastronomical offerings. Brisbane French Festival is Australia’s largest tribute to the joys of this fair nation, and it’s a marvellous way to spend the weekend. It’s got sprawling French markets (including a ginormous cheese selection), wine pavilions, live performances, a special kids’ corner, and even a few foodie masterclasses to get stuck into. Make sure you’re there on Friday for the spectacular opening night party!